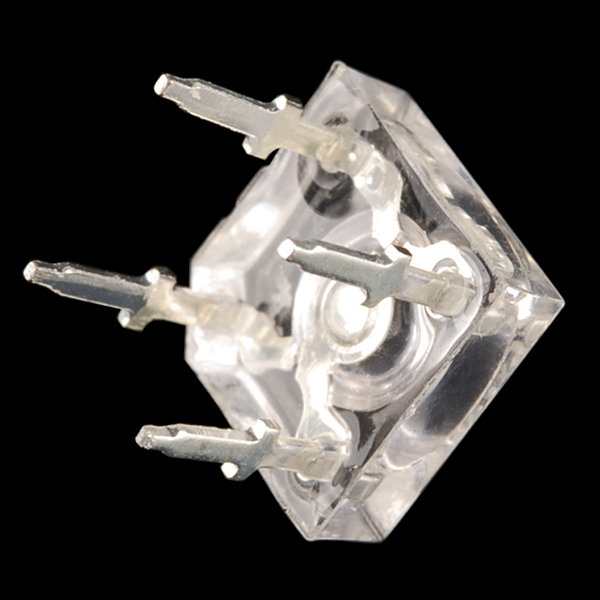 Thanks to their square shape, these RGB LEDs can sit flush against a PCB saving you precious vertical space in projects where space is a luxury. 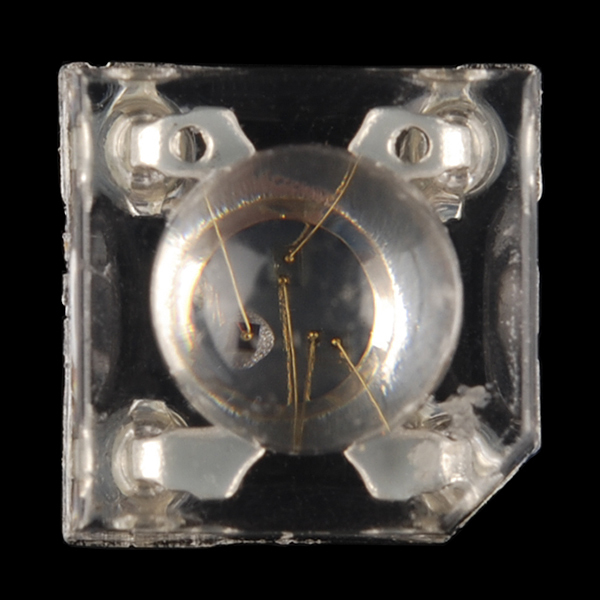 They may not be huge, but these common cathode piranha LEDs are bright! The datasheet says "Drawing by: volitation". So I'm thinking the diagrams were made with a pencil hooked to a quadcopter or the draftsman works while on an airplane. If it's the quadcopter, video please. 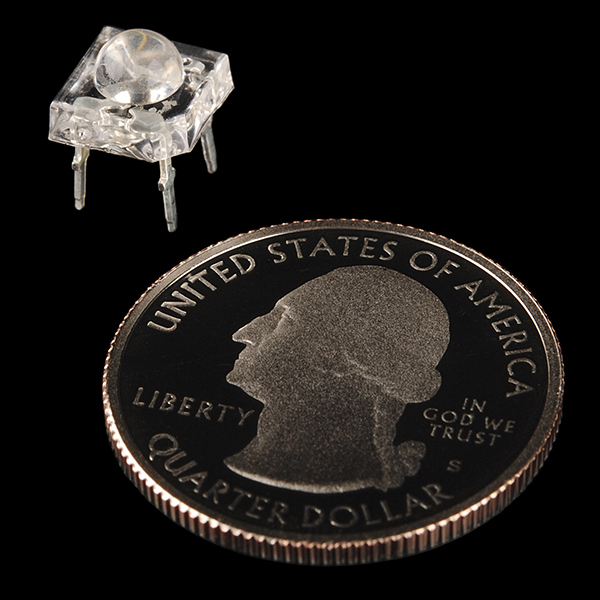 The datasheet does not seem to identify which pin is the cathode, and I don't have previous experience with these types of LED. I ordered one of these and have it here. I am guessing that the chamfered ("flat") corner is the cathode. What resistors would you recommend? I used one of these devices in a 3.3V system with the following series resistors: Blue (pin 2): 1.8K, Green (pin 3): 4.7K, Red (pin 4): 2.2K. Of course the common cathode pin 1 is grounded. These resistor values might sound high, but as the description says, these LEDs are really bright, especially the green one. These resistors give approximately equal perceived brightness to my eyes. Since I'm using this device with a battery powered XBee radio, the low current draw is a definite plus. The currents with these resistors measured: Blue: 430 uA, Green: 200 uA, Red: 750 uA. 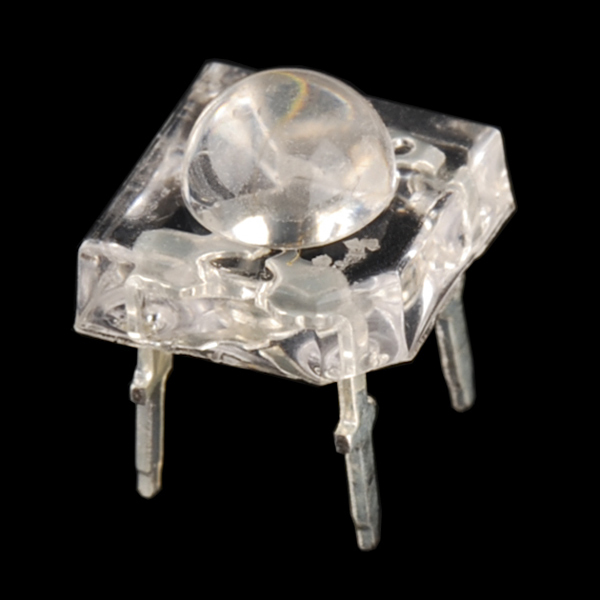 You can certainly use lower value resistors (down to 75 ohms or lower in a 3.3V system) without exceeding the spec but the LEDs get blindingly bright very fast. it depends on your source voltage. Any chance of getting these in a common anode arrangement rather than a common cathode? Adafruit doesn't have a Common Cathode one so I doubt either of the two stores will be getting the other unless they can sell them for cheaper. These are very bright little rgb leds, and I have no complaints. They aren't breadboard-friendly, they are more for a finished pcb.